Decorating and enhancing child photos is fun and easy with this set of overlays. 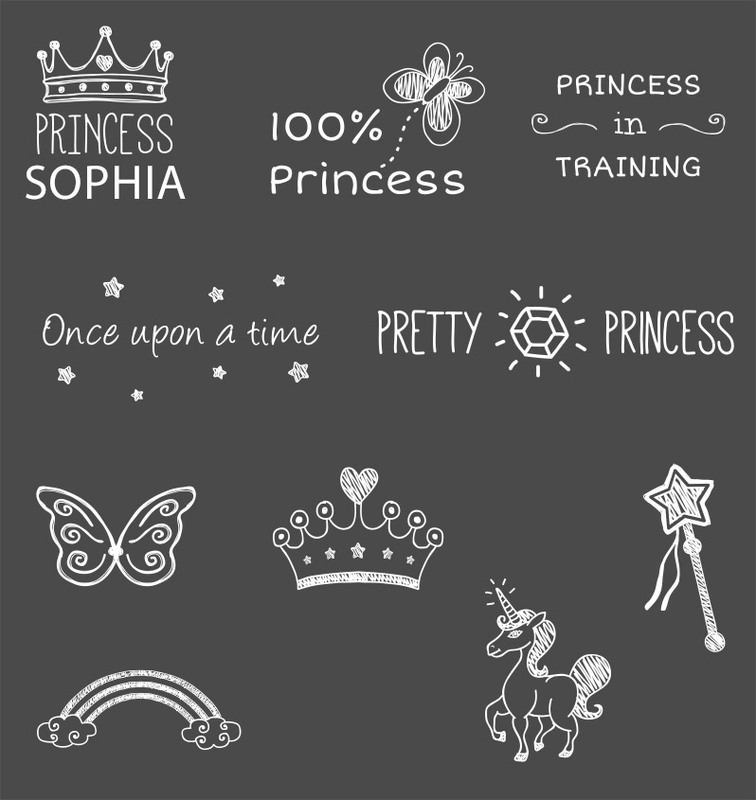 The set includes a total of 10 different overlays inspired by princesses and fairytales. They are great for fun, playful effects that your clients will love, or for use with photos of your own kids. The overlays come in .psd and .png format. The .psd files can be used in Photoshop and Photoshop Elements, and the .png files can be used with any photo editor that supports layers. The .psd files use vector shape and text layers, so they can be re-sized as needed with no loss in quality. The .png files are 3600 pixels by 3600 pixels at 300 dpi, so they are large enough for just about any type of use.